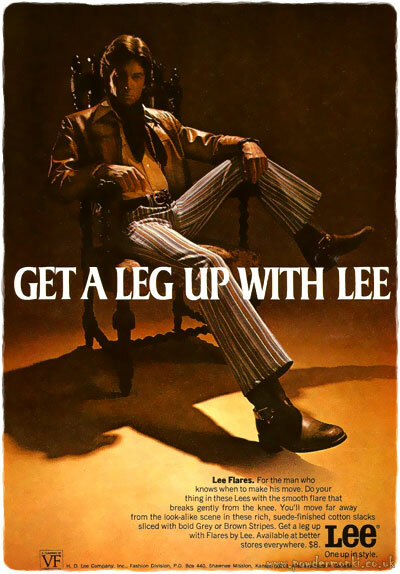 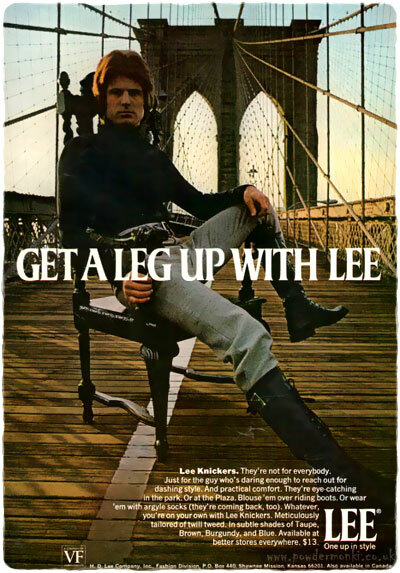 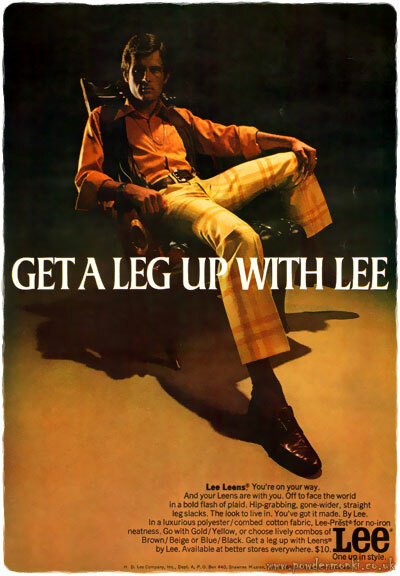 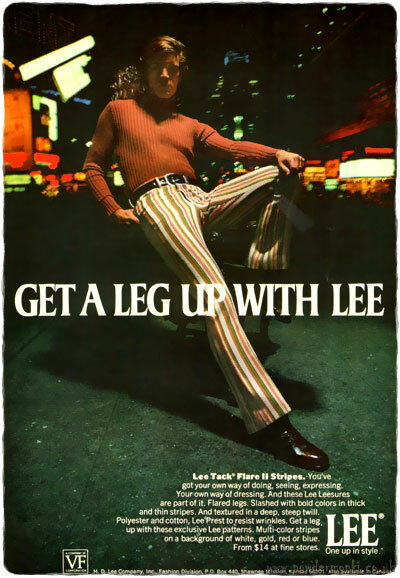 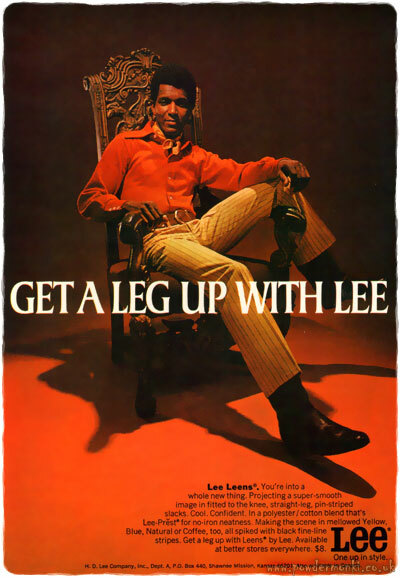 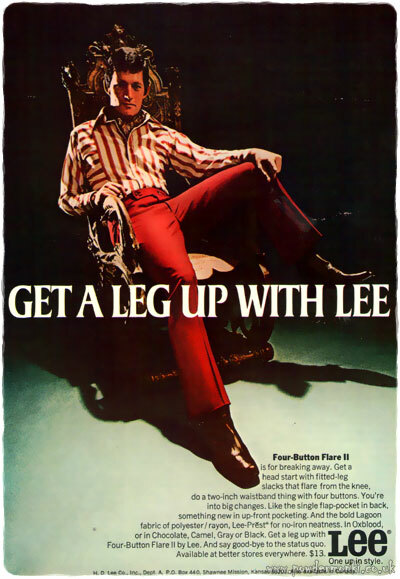 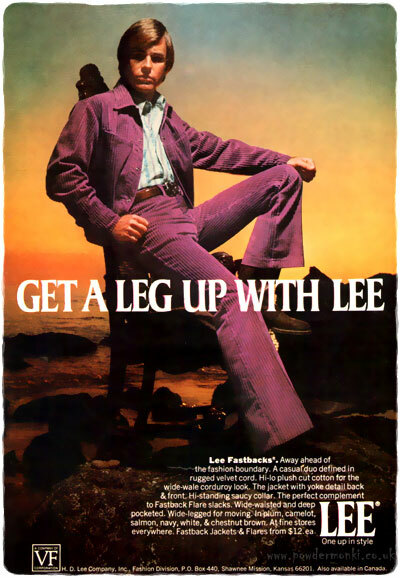 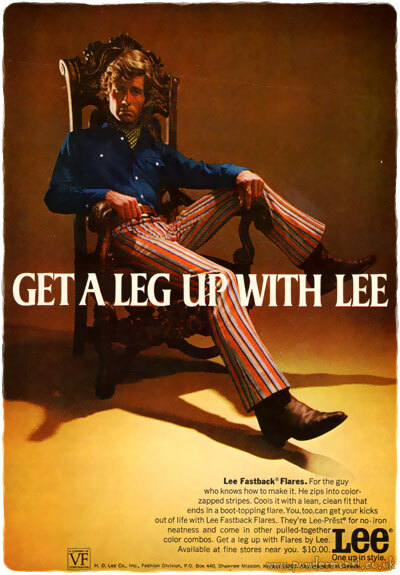 These adverts are from 1970-71 and feature some fantastic text (as well as some fantastic trousers). 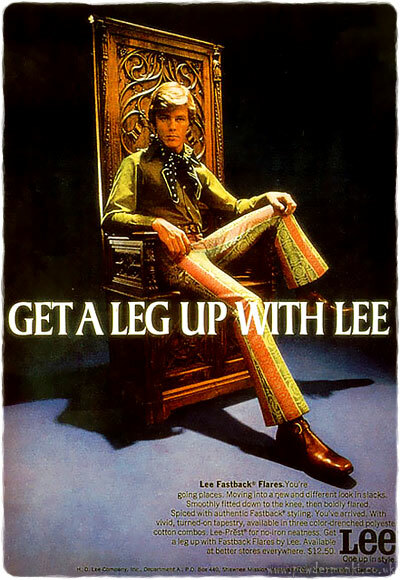 All the chaps sit defiantly with one leg draped over the arm of their large ornate throne-like chairs, showing of their modern breeches and manhood at the same time. 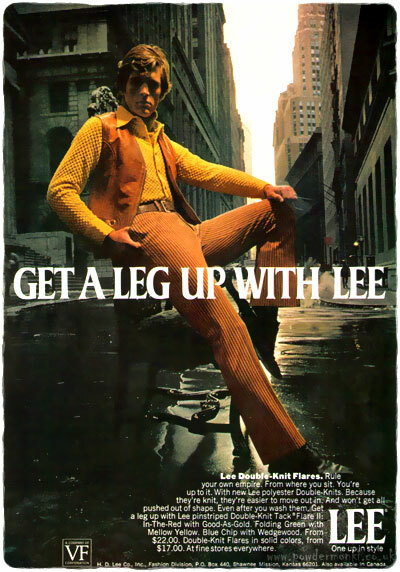 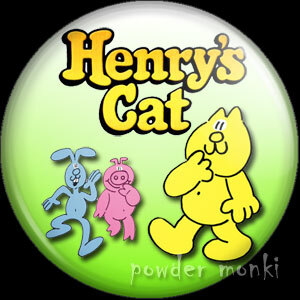 The later 1971 ads branch outside the studio and into the real world. 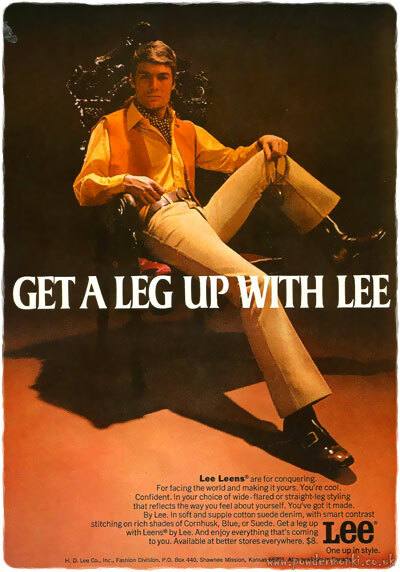 Hanes ~ Lingerie Adverts [1973-1984] "Gentlemen Prefer"